Dr. Davis was born in Lake Forest, Illinois, the youngest of seven children. She received her undergraduate degree at Sonoma State University in Santa Rosa, CA in 1986. In 1991 she received her Doctorate of Medicine at Tulane School of Medicine in New Orleans, LA. She successfully completed her pediatric residency training in 1994 at the University of North Carolina in Chapel Hill, where she was also Chief Resident. Dr. Davis is a Board Certified Pediatrician and a Fellow of the American Academy of Pediatrics. Prior to establishing Wake Forest Pediatric Associates, PLLC, Dr. Davis worked for Rex Healthcare in Raleigh. Dr. Davis’s clinical interest includes Asthma and ADHD. 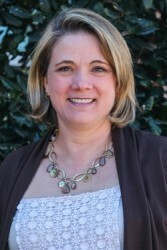 Dr. Davis lives in Raleigh with her husband and two children. In her free time she enjoys spending time with her family and endurance running.